All legal services at my firm are billed based on the time spent. My present hourly rate is $300 per hour. As a licensed Michigan attorney, I provide services in the state of Michigan only. Will I bill on a flat-rate billing basis? No. Why not? Frankly, flat rate billing basis is not fair to clients. For clients who are very well-organized, and willing to do some of the administrative work of estate planning themselves, the flat rate option means they are over-charged. Also, for other clients, flat rate billing basis means that they may pay for estate planning documents they don’t regularly use. I do not find the flat rate billing to be price and cost effective for most clients, so I don’t flat rate bill. I will, however, work with you at our initial meeting in setting a price range for the services I recommend for your Estate Plan—and the first half-hour of our consultation is without charge. I can help you craft an Estate Plan that fits your budget. I will also offer convenient payment terms, if that is a concern for you, and I accept credit cards. What other charges, besides my time, might a client incur? If I am performing probate work, there are actual costs for which the client is responsible. Costs include court fees, service fees, mailing expenses, copy charges, research charges and the like. All costs are billed at what it costs my firm—I do not mark up for copy or postage charges, but pass the actual cost along to my clients. I take great pride that when I have had temporary assistants work for me they say “Wow, you bill so much less for costs than most firms I work at!” In my mind, clients should not pay extra than the costs that my firm incurs for any item, such as court and filing fees, postage and copies. At my firm, I pride myself on fair billings and happy clients. I have so many clients who continue to work with me for many years, and that makes me confident that my clients feel they are receiving a great value for the work I perform. "Danielle McCluskey was the backbone to my auto accident/brain injury and insurance cases. She fights very hard to make sure that her clients get what they deserve. What I liked best was that she took the time to truly listen to my concerns and questions, even years after my original case was closed. I could not have asked for a better attorney. She is good at what she does!" "We were so extremely satisfied with Danielle P. McCluskey. Danielle was not just another lawyer; she personalized our case like we were her only clients! For as long as our case lasted she never once gave up, she was always right on top of everything. I wouldn't hesitate to call on her again if I ever need any other future legal assistance." "Above all else, Danielle McCluskey knows her business. When my husband became seriously ill and was unable to continue overseeing our affairs, she listened to our requests, questions, and needs and formulated a document that fit us perfectly at that time. And when our needs and wishes changed, she worked patiently to adapt our document for another perfect fit, even suggesting some solutions that we had not previously considered. We feel confident that no matter what tomorrow brings, our wishes regarding our estate will be carried out." "Danielle is the most wonderful attorney I know - and I know a lot of them. She’s just the best. She’s caring and thoughtful. She really cares about her clients. She’s very up front – she tells you, to the best of her knowledge, what is going to happen and what to expect. She’s just a real treat, I’m telling ya. I just really have all the confidence in the world in her – she makes me feel better. I just think she’s wonderful! I had a bad experience with the previous attorney and she never said anything bad about him– she just took care of it – she just took over and took care of everything and there’s nothing to worry about with her handling it. She’s just marvelous! She’s the best – that’s all there is to it!" "Throughout the complex process of upgrading all of our legal affairs, including coordination with our financial manager, Danielle exhibited the highest standards of professionalism. She brought keen knowledge of the law and judgment to making every decision. The process was lengthy, but never rushed to premature completion. 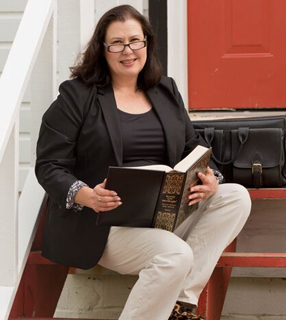 Beyond her prowess as an attorney, Danielle is also genuinely caring about her clients’ well being."